Last year, I was working the Teen Desk when a girl who was CRAZY about the author April Henry came in looking for books. 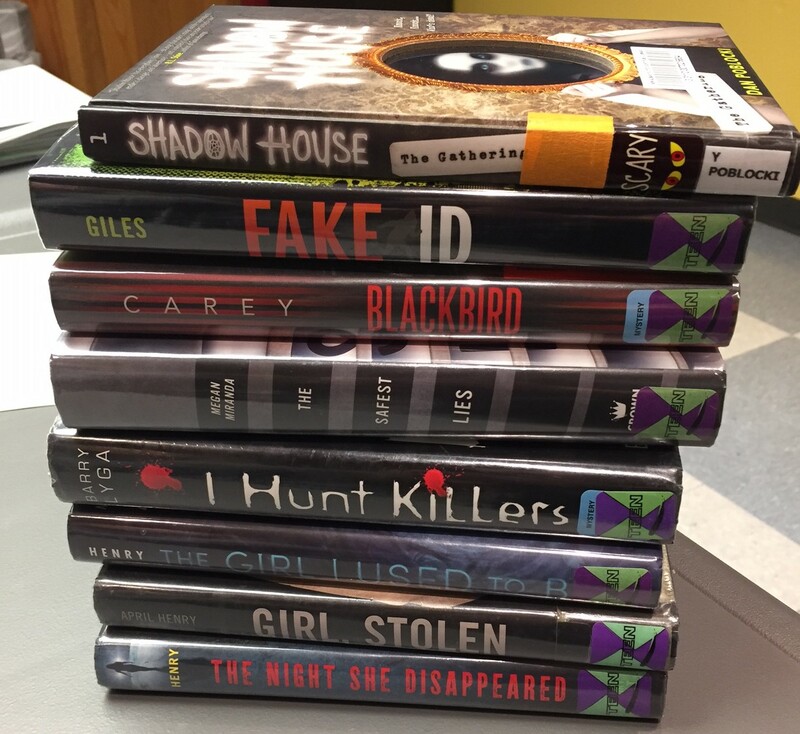 Of course, all of April Henry's books were checked out and she was asking if we had anything similar. And I was stumped. Nothing came to mind that I had read or even really heard of except The Face on the Milk Carton, which kids were reading when *I* was a kid. That's a long story to say that I requested this genre for one of our Reading Wildly months this year. Of course, I helped my patron with the help of sources like Novelist, but it definitely identified a gap in my knowledge. 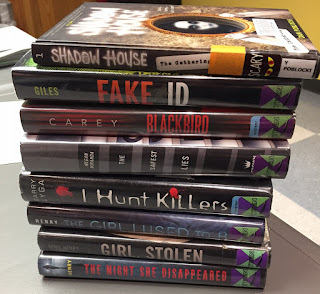 This month, we read "thrillers" and I learned after Becky Spratford's RA workshops at my library that what we were actually reading about would be considered suspense novels. For the most part, this genre wasn't a huge favorite with my staff, although I had one who got really into it and found several books that she enjoyed. So, we'll see what we end up with next month! When I passed around the paper for staff suggestions for this genre, we were very lacking in gentle options for teens. What are your favorite gentle reads for teens?